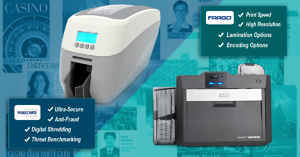 Dual-Side photo ID Systems save time by allowing you to print on both sides of an ID card in a single pass. 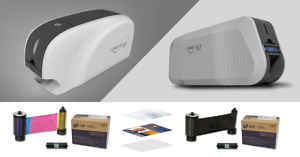 These duplex systems are designed to maximize the potential of any ID card program and allow program operators more flexibility when it comes to incorporating design elements, security features, and functions. 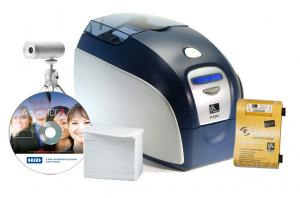 At ID Security Online, our duplex photo ID systems have everything you need to print beautiful full color ID cards in less than 60 minutes after opening the boxes. Cut and paste cards are a relic of the past; photo ID printing is now! 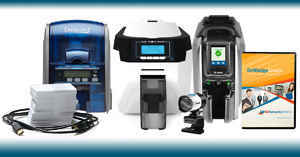 We offer a full-service for ID card printer parts and repair. 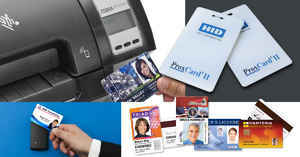 We also carry a complete line of ribbons, cards and supplies for your ID systems needs. ID Security Online�s dual sided photo ID system is the perfect solution for medium to high volume applications requiring dual-sided credentials. Our ID software allows you to create your own database and design your own card layouts. 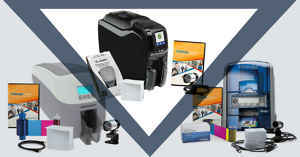 With ribbons and card feeder loading, our ID card printing supplies offers good quality output for printing 500 color ID cards effortlessly at a very competitive price. This ID system is the ideal solution if you are looking to update your Reception facilities with a professional visitor management system.